The truth is, no one is that stupid. * Members of Congress (Democrats) called on their colleagues to support a Hamas Islamic Center in Falls Church, Virginia to show their “solidarity” with them, and actually participated in a function at this terrorist haven. * The President stated we must involve the American “Muslim community” in any strategy to stop “terrorism” despite the fact that all of the Muslim leaders with whom President Obama’s administration is working are easily identifiable as leaders in the jihadi/Muslim Brotherhood Movement here. * The Secretary of Homeland Security, speaking at a Hamas/Muslim Brotherhood center in Northern Virginia (ADAMS Center), confirmed his father was a target of an FBI investigation because he was a member of the Communist Movement in America. Secretary Johnson’s remarks may be the first shred of truth we have heard from this administration since the President committed to “fundamentally transform America” during his first campaign. As this administration provides wide open paths for the world’s number one state sponsor of terrorism (jihad) – Iran – to get nuclear weapons, it also continues to suppress all positive efforts to defeat the jihadi threat while openly condemning Americans who speak out against the threat. Why did President Obama’s previous Attorney General refuse to prosecute any of the hundreds of un-indicted co-conspirators in the largest terrorism financing and Hamas trial ever successfully prosecuted in American history (US v Holy Land Foundation, Dallas, 2008)? Why did President Obama shut down all fact/evidence based training (2012) regarding the Islamic threat in the DHS, FBI, and military after Hamas/Muslim Brotherhood groups like MPAC, ISNA, and CAIR complained Muslims were offended? 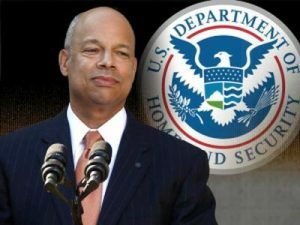 Why are the only Muslims who brief the National Security staffs easily identifiable as Hamas/Muslim Brotherhood leaders? The father and step-father of the President of the United States were both Muslims. President Obama attended Islamic schools as a young man. His greatest influence on the President’s life, according to him, was Frank Marshall Davis, a leader of the Communist Party USA. The President studies radical Marxist revolutionary ideology under Saul Alinsky and taught Alinskism via the book Rules for Radicals, which was dedicated (by the way) to Lucifer. Where is it that a reasonable person would believe the President holds our foundational principles in the Declaration in any esteem? Why would we believe he would support and defend the Constitution? This is why he is not doing it? He is doing exactly what he said he would do. 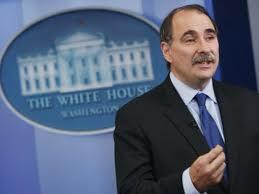 Why are a large number of his Cabinet Secretaries and others socialists, marxists, or jihadists? As Paul Sperry wrote in his recent article for IBD (and the evidence support his assertations) that Secretary Jeh Johnson, Valerie Jarrett, David Axelrod, and others in very influential positions in the Obama administration are the children of Communists. That means their lineage is one that opposes our Constitutional Republic and our founding principles. Let us not look too deeply for answers to why things are going the way they are going in this country. It is because we have an administration which is necessarily hostile to our Constitution and Rule of Law, and an American people who still cannot grasp this yet. 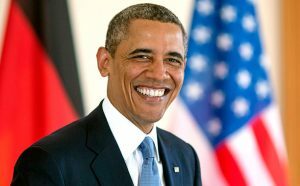 The sooner one of the primary candidates says that Obama is doing what an informed person would expect a muslim President to be doing, the sooner the field will be narrowed and other politicians and public figures will publicly agree and allow the country to move forward on correcting the main domestic source of evil. The threat on are COUNTRY comes from with in are COUNTRY, Obama knows all about it, and so does everyone of them ,Hillary, Cruz,and so on.WE THE PEOPLE,let them stay in office to long.We have not seen it all yet!!! Cruz!? To infer that sen Ted Cruze has or would have any hand or even remote interest in the perpetuation or cover-up of any similarly aligned interests as killery or Barack is an astoundingly baseless, stupid and reckless accusation . Cruz has more than demonstrated his diligence to the interests of the his constituents’ and to the prevalence of freedom, and sensible minimalist governrnment interferiance in the lives, of all those of us who grant the government its rights and would like it to not run amock on us. or turned on us all as as an oppressive machine for ruling and abusing is own. unlike Barack or Killery, Who both find a selfish usefulness in this sort of tyrenny… Cruz is diametrically opposed to that sort of thing because he appearently has this thing that he has seemed to rely on in order to guide him in his service to others. I belive it is called a conscious. Thank u so much for your boldness in speaking truth when so much is at stake. I will be lifting u up in prayer for protection as u continue shining light to a blind America. The Lord has placed an urgency in my spirit to warn others to be prepared. May God give us the wisdom, protection & perseverance to continue the fight & may the scales be removed from the eyes of the lost. Thank u & God bless u! If it walks like a duck and talks like a duck it’s usually a duck. When you hear hoofbeats, look for horses not zebras. He is as he appears to be, hard as that is for us to believe. I think yours is the blog I’ve been looking for. Though I agree that we need cooperation from the Muslim community, they have had fourteen years to do so without any kind of retaliation other than attacking the point where the (9/11) attacks came from. We lost more Americans from all races and walks of life than we did in the attack on Pearl Harbor. In the previous 14 years we have received virtually no help from the Muslim community. As the saying goes, the proof is in the pudding and if they refuse to assimilate to American Traditions and beliefs then they do not belong in our country. The United States was never created to change for every immigrant who enters our country. Since President Obama took office our Judea-Christian foundations have been under continuous attacks. During two Breakfast prayer services President Obama Openly attacked Christians by using the crusades as one example of Christian barbarism ( conveniently he left out the Crusades were in response to a massive invasion of Muslims into central Europe) Ever since, children can bring Koran’s to School and practice their religion while Christians and Jews cannot. President Obama claims there is discrimination against Muslims, when in fact it is the Christians and Jews who are under attack. We are long over due to rid our nation of this scourge who has ruined our country and if anything he should be brought up on charges of Treason and impeached. When viewed from this take everything Obama does makes sense. I’ve suspected this (Obama is a muslim) for a long time. Can a Christian cleric trick him into admitting this? I think so. Will they attempt this? Probably not. But one thing is sure in my mind; this man must be destroyed publicly so even the slowest witted among us can see in order for the country to rebound after his terrible reign is over. Obama is a the lowliest human being in this country to occupy the oval office I have ever witnessed and that is saying a lot after having sadly witnessed the reprehensible behavior of Bill Clinton. Worse than Jimmy Carter. Worse than Bill Clinton. Worse than any of the Bushes, LBJ. Terrible. Starting with the MSA;’s, the funding influence of petro dollars, the placement of influence in the Universities across the U.S,…all done with misdirection to disguise the ultimate goal of migration, subversion and to spread the caliphate. He nearly made a affirmative announcement of “jihadi’s already in our country and their goals. I was quite surprised to hear his statements, and wonder if he has always been this direct. This is great info. The “real” threat to our country is not Isis, etc. It is the current “Lucifer driven” administration that supports the Muslim brotherhood objectives. These objectives are founded on the Marxist totalitarian philosophy, which espouses communism. Communism destroys the human inalienable right of freedom to think for ourselves and to become the best we can be for the betterment of mankind. Just as a point of information. 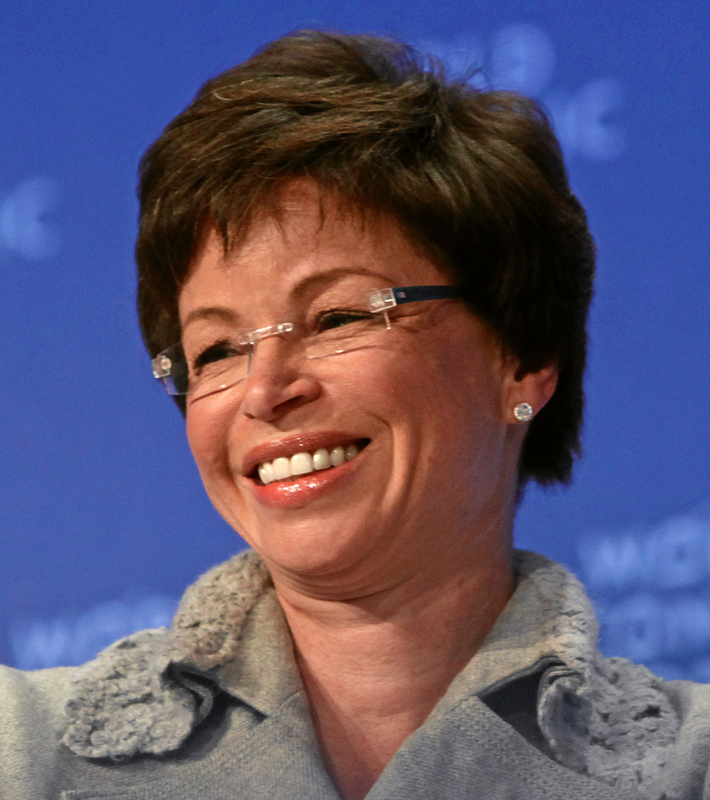 Valerie Jarrett was born in Iran while her parents were in Iran on a medical mission. Valeri’s father was a physcian. Valerie and her parents are African American. Valerie is not Irani or Persian. Yes she learned the Pharsi language while in Iran because its the langauge that was spoken around her besides the English of her parents. John Brennan Should be imprisoned and Obama impeached. Keep up your good work Mr. Guandolo.